The Best of Times, and the Worst of Times… | What Happened To Her Face? Posted on February 12, 2015, in 3. 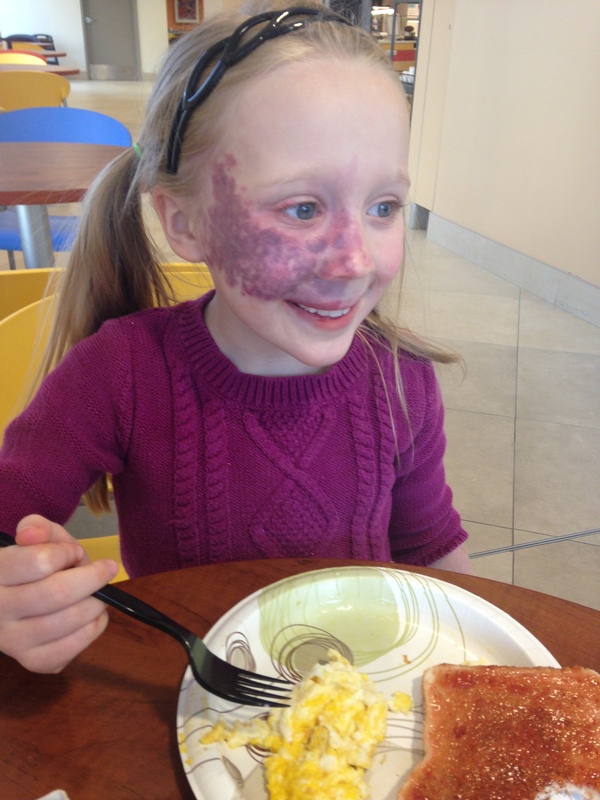 Addy Stories & Experiences and tagged Parenting, Port Wine Stain, Treatments. Bookmark the permalink. 6 Comments. Thank you for sharing your story.I am from South Africa and Tuesday is the start of our journey.Reading your posts made me feel less alone.My son is ten months old.He simply is my hero! Hi Stephanie! I’m so glad you might find some encouragement here; thank you for your kind comments! Please feel free to update me by comment or email – I love to find other parents in this boat, and would love to know about your journey! Pingback: Comfortable | What Happened To Her Face?